Perhaps it’s that car crash mentality that makes it so difficult to look away from the direct stare of a carnivore big enough to make us dinner. 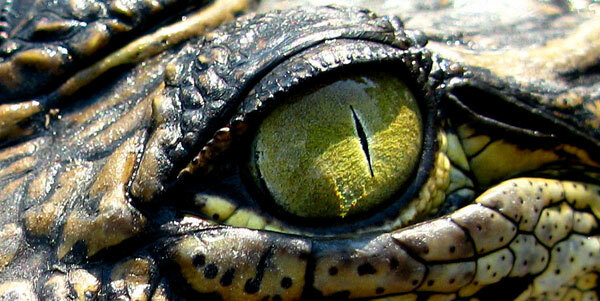 Gators and crocs are very different animals, but in the creepy stare department they quite similar. Most images are alligators, but there are a few crocodiles in there, can you spot them? Can you spot the similarities with cats eyes? 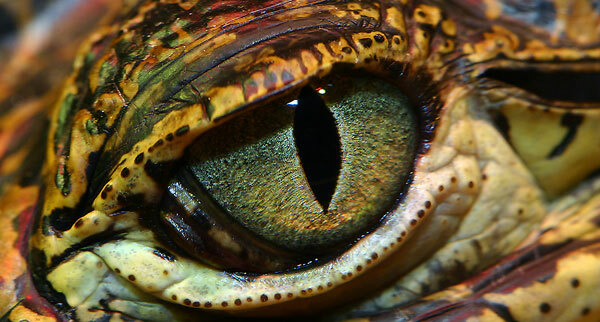 For whatever reason you are fascinated with crocodiles and alligators you might want to learn more about them. These are some stunning photographs! And wow–impressive animals. Crocodiles are known for one of the worlds largest recorded bite-forces: More than 5,000 pounds PSI! always wondered the connection with cats and crocs, did the evolution of the cat line spin off from ancient crocs?